Chinese New Year is the biggest holiday of the year for the Chinese culture. For those living outside of China, chances are good you’ve heard of the holiday, but aren’t quite sure what it’s all about. In short, it’s a spring festival that celebrates the changing of the Chinese lunisolar calendar. 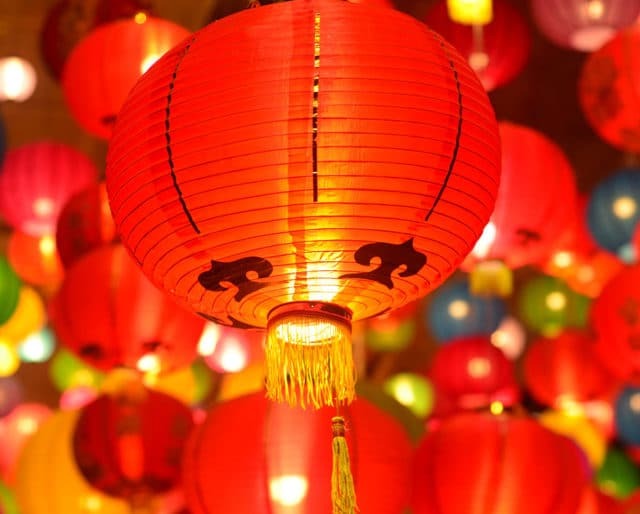 The first day of the New Year falls on the new moon between January 21 and February 20, with celebrations beginning on the evening preceding the first day, and typically lasting until the Lantern Festival. To help you understand more about one of the world’s largest festivals, here are 12 fascinating facts about the Chinese New Year. This holiday lasts for 15 days and is celebrated not only in China, but in other countries including Malaysia and Indonesia, as well as by Chinese families scattered all over the world. Cleaning the house rids it of any bad vibes. In fact, this part of the prep is so crucial that by not cleaning the house, you are risking dishonoring your family, as well as the possibility of misfortune in the year ahead. Though it always fall sometime in between January 21 and February 20, the actual date of the new year changes according to the Chinese lunar calendar. For 2019, the festival starts on February 5. If you are handed a red envelope during Chinese New Year, you can jump for joy — there is money inside of it. It is customary to give this money to employees and bosses. As the biggest producer of fireworks in the world, it’s no surprise that when the clock strikes midnight and marks the beginning of the new year, things are going to get lit. Though the brilliant colors streaking across and thunderous eruptions are tons of fun, there is greater meaning behind these demonstrations for Chinese New Year. Chinese culture believes that these fireworks are meant to ward off bad spirits and keep everyone safe. It is custom to return home for Chinese New Year, no matter where you live. And for many, home is out in the country. That means a lot of people end up traveling out of the cities every year. Tickets for trains in China aren’t available for purchase until 60 days prior to the date of travel. As you can imagine, ticket sales see a huge boost during the time leading up to the Chinese New Year. In fact, reports from 2015 showed that 1,000 tickets were sold every second. Be sure to double up on your cologne or perfume, as showering is not allowed on New Year’s Day. It is believed that showering will wash away good luck. Ever notice how it seems that every Chinese decoration is covered in red? That’s because it’s the color thought to scare away evil spirits. You would think it would bring good luck, right? Your birth year is called your benming year, and Chinese people fear demons taking away children. Every 12th year is your rebirth year, so be careful and be sure to wear lots of red.